SINGAPORE - When you're so caught up in the daily grind, it's easy to neglect public appearances and focus more on industry-relevant skills. While there's no need to dress up to the nines everyday, dressing and acting like a millionaire can be associated with success. And who doesn't like to appear successful? Business Insider compiled some noteworthy advice from image consultant Sylvie di Giusto of Executive Image Consulting and Vicky Oliver, author of "The Millionaire's Handbook: How to Look and Act Like a Millionaire, Even If You're Not". Quality suits for men or blazers for women may not be worn every single day, but they are still good investment pieces to have especially when a professional function calls for it. Di Giusto says that professionals can "shop smart", as long as they don't skimp on quality. 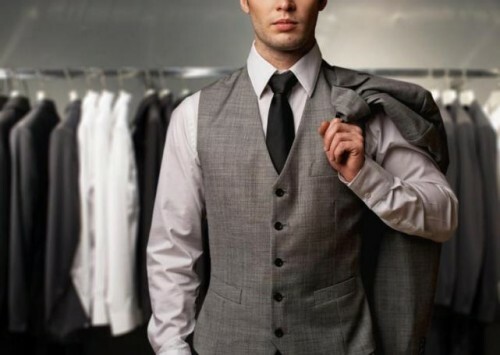 On shopping smart, Oliver recommends adhering to the "one-third rule", where instead of buying three pieces of clothing at average prices, professionals should invest in one expensive, quality piece and wear them everywhere. Di Giusto recounted to Business Insider an incident during a job interview she conducted while working for a German company. She said that while the interviewee performed well, she noticed that his iPhone's case had an offensive word emblazoned across it. It may be a trivial detail, but still jarring to the good impression he made. Di Giusto then found herself questioning everything she previously thought about him. She said: "If you're serious about your image, you need to be aware that it goes far beyond your suit. That means realizing that your desk, your accessories, and even your smartphone's case need to be an extension of your professional image." 3. Dress relevant to the industry, but jazz it up with a "statement piece"
One step to being a successful professional is to stand out. Not in flamboyant colours, but in classy subtleties. While it is understood that people should dress according to the industry standard, such as traditional suit and ties for finance executives or casual chic for tech or artistic professionals, having one good, unique statement piece can help the individual stand out. For example, men can add a fancy finish to their dark suits by pairing on interesting cufflinks, or even sport floral lapels. Women may add a brooch to their blazers or glam up their powersuits with statement necklaces. For those with more casual attires, a pair of unique eyeglasses, or watch can do the trick. Casual has never been properly defined and most people end up in ripped denim and t-shirts on dress-down-Fridays. While there's no issue with keeping the attire light, make sure that its clean cut, well fit and does not deviate too far from professional attire. Di Giusto's advice for casual dressing is to have it dress up quickly. She suggested bringing along a jacket on casual Friday in case of spontaneous functions or meetings. Making an impression doesn't mean you should douse yourself in perfume or cologne. Keep it subtle, light, and never let it be so overpowering that it distracts someone from what you're saying. Di Giusto said: "The moment you smell your fragrance, you know you're wearing too much." According to Oliver, powerful people take up space. She wrote: "Subconsciously, we seek leaders who are tall because we associate height with authority." Professionals lacking in this department can pair clothing smartly to create an illusion of height. Style Caster advises professionals to opt for clothes with long vertical stipes and avoid carrying large shoulder bags. Form-fitting and monochromatic ensembles work to create a seamless flow too. Women are recommended to avoid strappy heels or any high cut shoes that end above the ankle while men are advised to avoid waistcoats and broad ties. Its no secret that those with irregular sleeping patterns tend to have a more sallow complexion. Oliver suggested making it a point to adjust sleeping schedules to get healthy, radiant skin. She wrote: "Once you determine your ideal number of sleep hours, try to get the same amount consistently, even on the weekends. Force yourself to go to bed and wake up at roughly the same time each day."